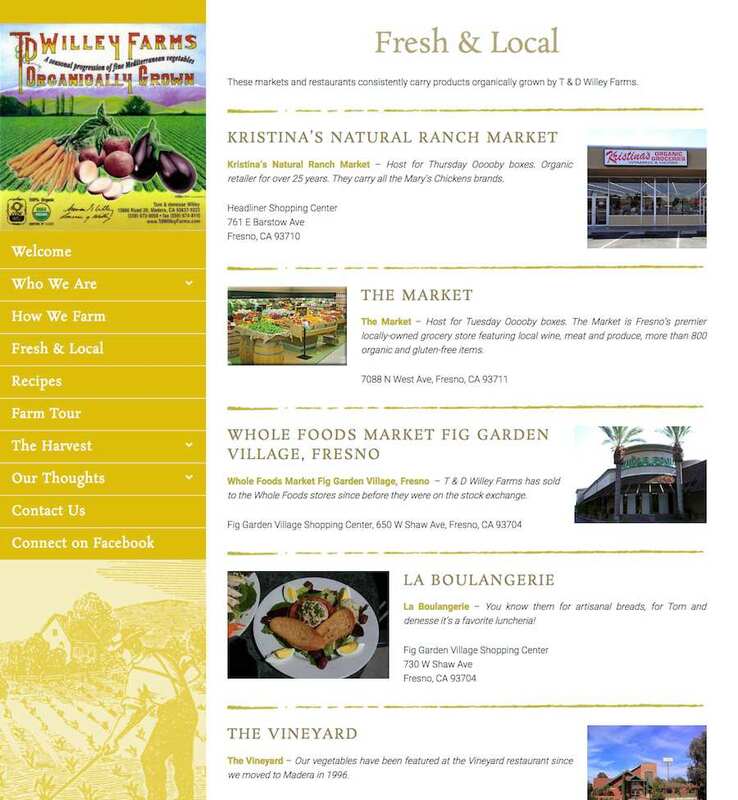 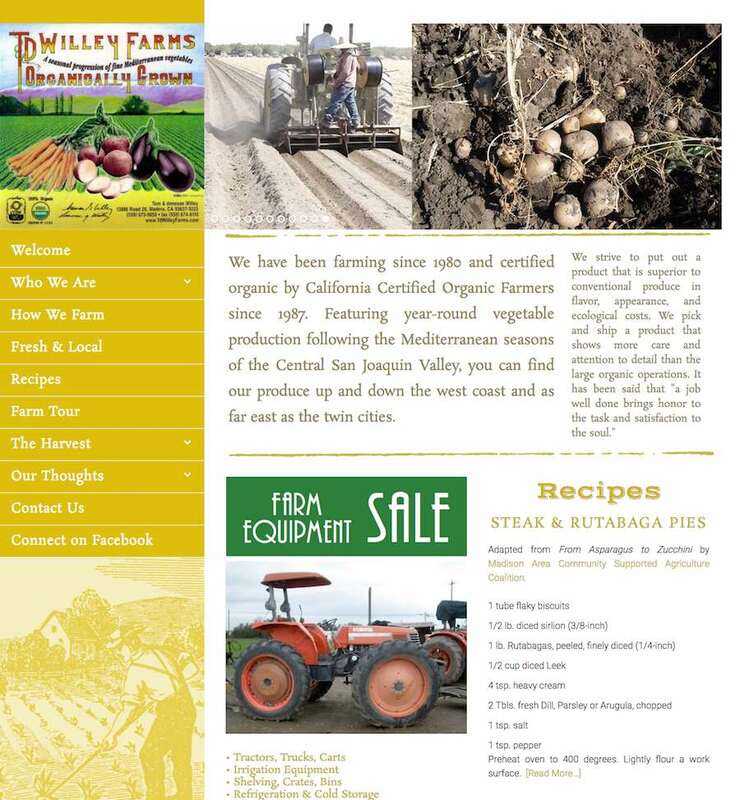 Tom Willey co-owner of this famous organic farm from the central San Joaquin Valley is a legend among organic farmers. 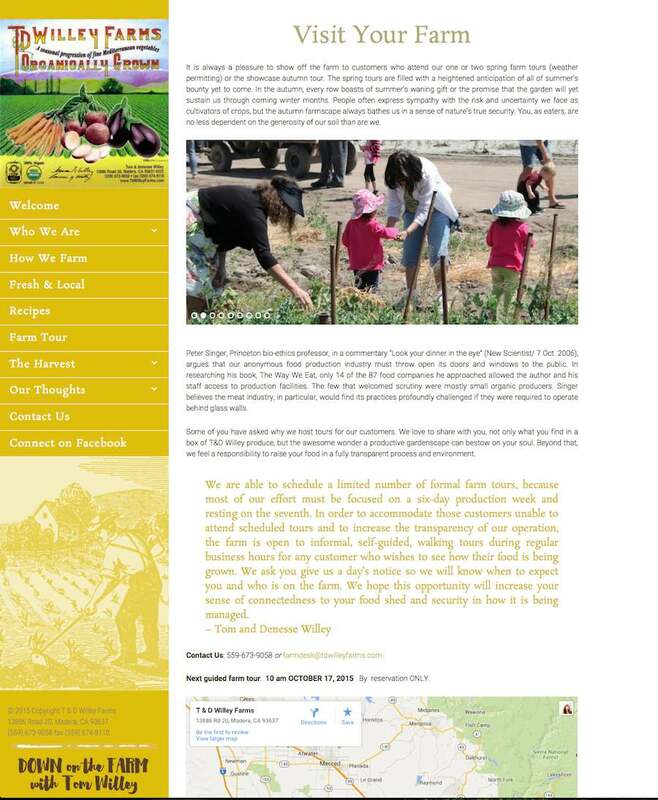 As a distinguished elder he has been repeatedly quoted in the NY Times, and as a trail-blazer in organic farming is now passing on the mantel to a local cooperative. 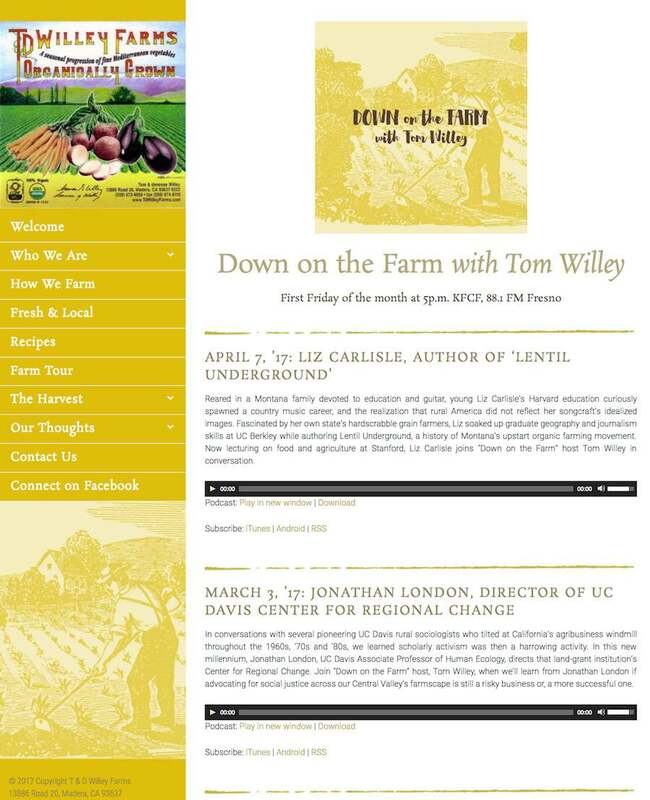 With his important articles and podcasts on the California drought, he has informed and inspired many to learn more and take action. 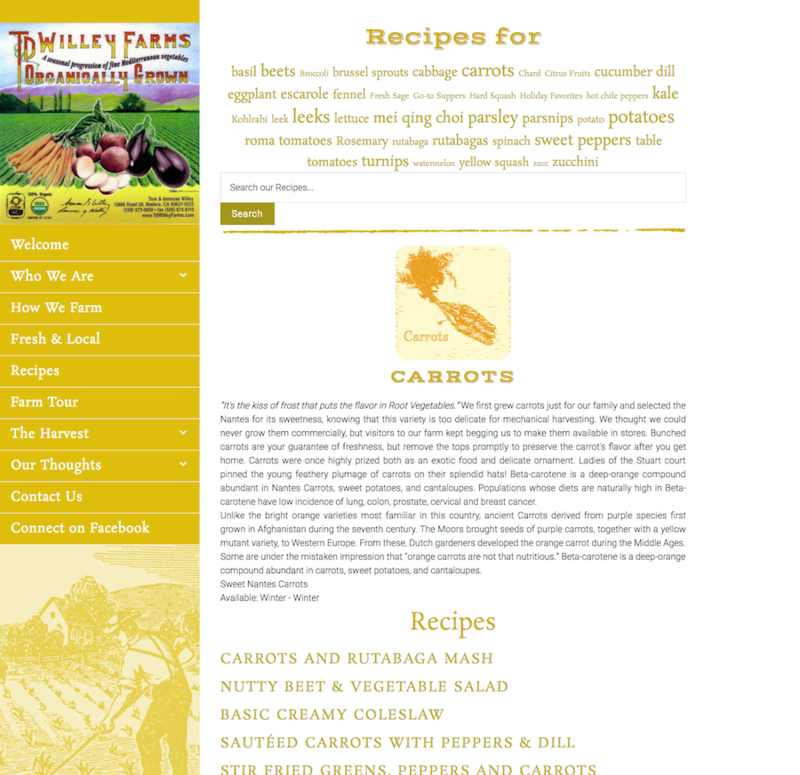 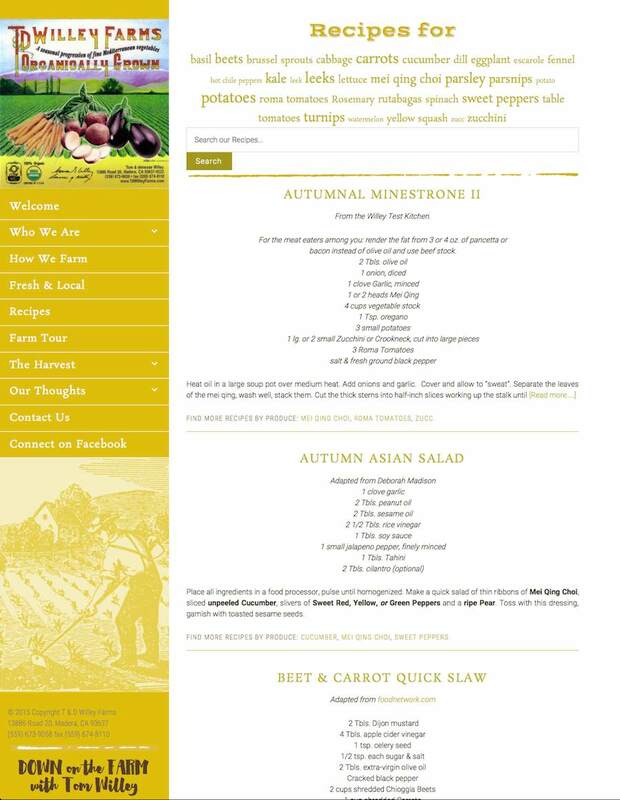 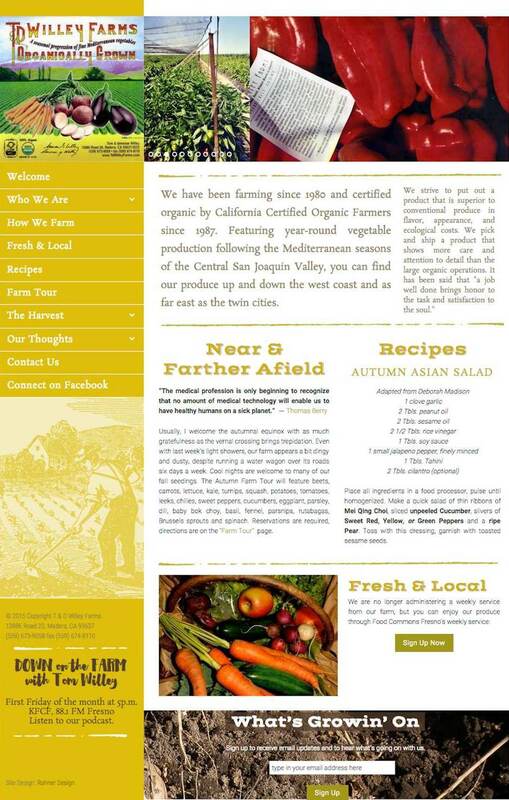 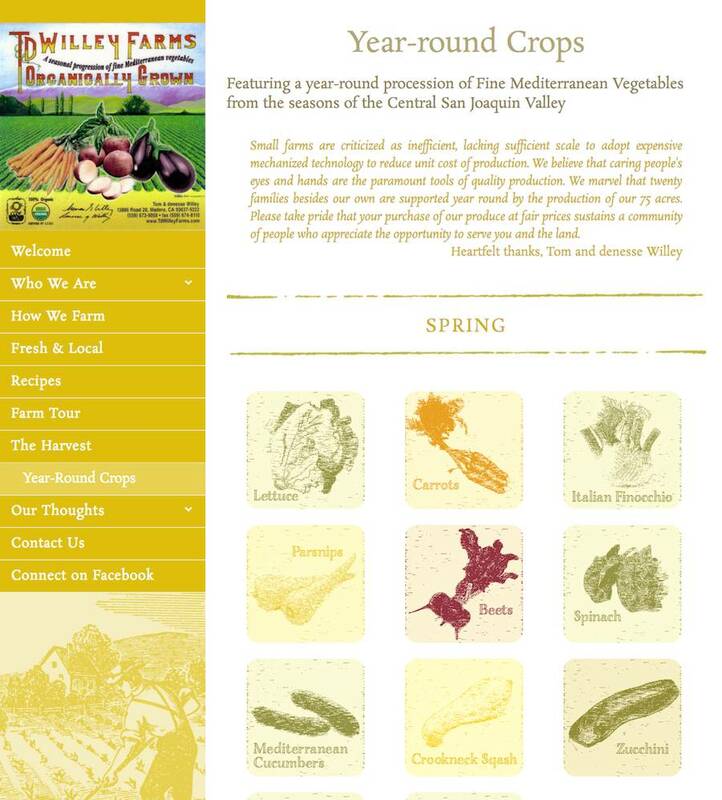 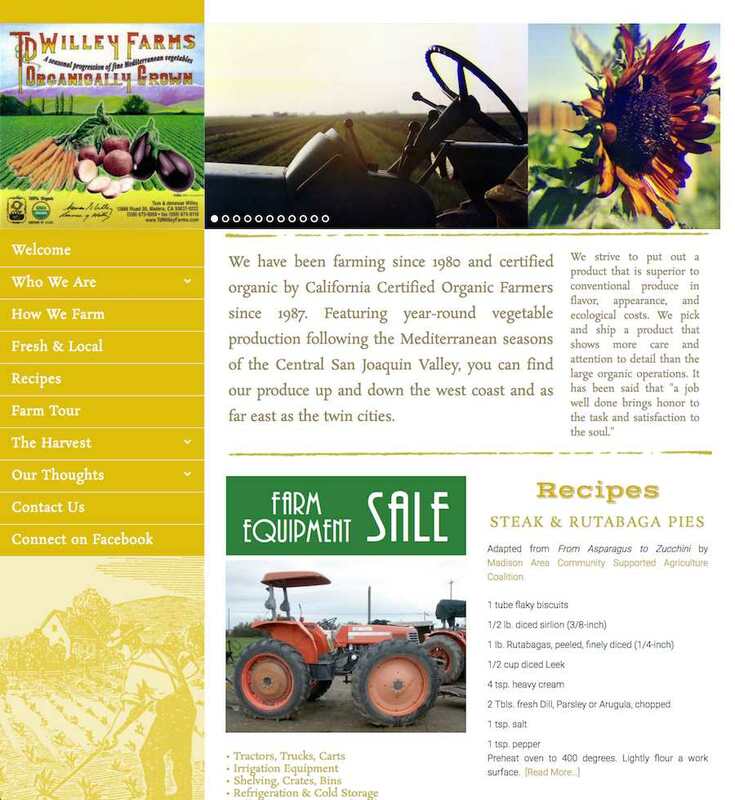 I have thoroughly enjoyed updating their web presence, making Denesse’s incredible list of yummy recipes easily available, as well as the monthly addition of Tom’s podcast, “Down on the Farm”.